WASHINGTON — Citing progress in producing plutonium-238, NASA will allow scientists proposing missions for an upcoming planetary science competition to use nuclear power sources. In a statement issued March 17, Jim Green, director of NASA’s planetary science division, said the agency was reversing an earlier decision prohibiting the use of radioisotope power systems for spacecraft proposed for the next mission in the agency’s Discovery program. A “long-range planning information” announcement about plans for the competition, issued Dec. 12, said that the use of such power systems would not be allowed, although missions could use radioisotope heater units, which use a very small amount of plutonium to keep spacecraft elements warm. NASA made that decision based on projected use of existing stocks of plutonium-238 for upcoming missions, such as the Mars 2020 rover. Dragonfly, one of the two finalists for the next New Frontiers medium-class planetary science mission, also plans to use a radioisotope power system, as well as potential future missions the moon that require nuclear power to operate through the two-week lunar night. At the time of the meeting last month, though, Green said the agency was reviewing the prohibition against using nuclear power for the Discovery competition at the request of the scientific community, but didn’t offer a schedule for completing that review. Green, speaking March 19 at a town hall meeting during the 49th Lunar and Planetary Sciences Conference at The Woodlands, Texas, said NASA went back to the Department of Energy to review current and projected supplies of plutonium-238. The status of production of the isotope, as well as projected demands, led him to conclude that it would be feasible to allow the use of radioisotope power systems on the next Discovery mission, in the form of two multi-mission radioisotope thermoelectric generators, or MMRTGs. “The confluence of when that would happen, and when these two programs would really move out, just seemed to come together a little bit for us and would enable us to move in this direction,” he said, referring to demands from Discovery and any future, but undefined, lunar missions. Aiding that decision, he said, was the progress being made by the Department of Energy of restarting plutonium-238 production. “That’s gone well,” he said, in spite of concerns expressed by the Government Accountability Office in October 2017 about scaling up production to meet that goal of 1.5 kilograms a year. 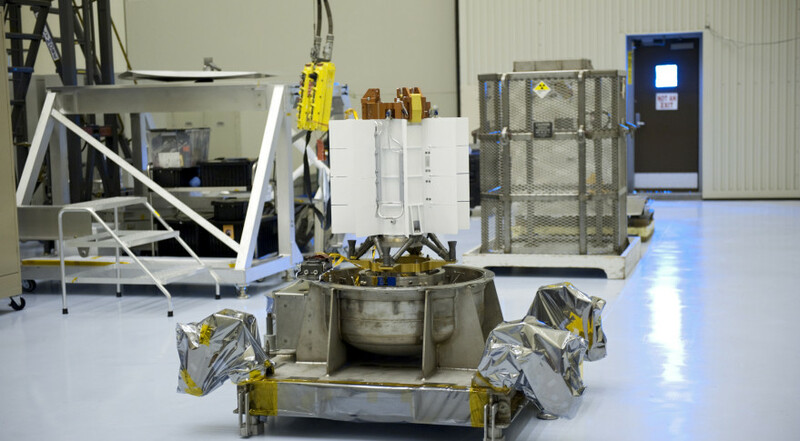 Planning for the next Discovery mission is still in its earliest stages. NASA plans to release a draft announcement of opportunity in September for comment, followed by the final announcement in February 2019. NASA will select finalists for further study in December 2019, with a winner chosen in June 2021 for launch no later than the end of 2026. The decision to allow the use of radioisotope power systems on Discovery was just one piece of good news at a rather upbeat town hall meeting about NASA’s planetary science program. While attendees at the meeting, the largest in the planetary science field, welcomed the news about budgets and the use of radioisotope power systems, some wondered during a question-and-answer session if that success was coming at the expense of other science programs at NASA or elsewhere in the federal government.